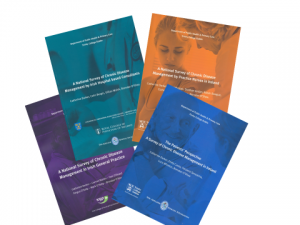 Integrated Healthcare in Ireland - A Critical Analysis and a Way Forward. An Adelaide Health Foundation Policy Paper. Darker, C. (2013). Universal Health Insurance: The Way Forward for Irish Healthcare. A Health Policy Paper. (2010). Equity in Healthcare: A View from the Irish Healthcare System. A Health Policy Paper. Samantha Smith. (2009). Health, Faith and Equality: A Health Policy Paper Prepared for the Health Research Board through a Building Partnerships for a Healthier Society Research Award. Katy Radford. (2008). Agnew, J., Taaffe, M., Darker, C., O’Shea, B., & Clarke, J. (2013). Delayed prescribing of anti-biotic for respiratory tract infections: use of information leaflets. Irish Medical Journal, 106(8), 243-5. DP French, CD Darker, FF Eves, & FF Sniehotta. (2013). The systematic development of a brief intervention to increase walking in the general public using an "extended" Theory of Planned Behavior. Journal of Physical Activity and Health, 10, 940-8. Darker, C., Ivers, J., O’Farrell, A., Dolan, R., Eldin, N., & Allwright. (2013). A qualitative study of the perceived impact of a community mobilization intervention to reduce alcohol consumption amongst amatuer sportsmen. Irish Journal of Psychological Medicine, 30(1), 57-66. 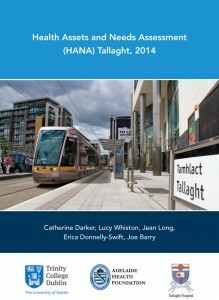 Ni Shuilleabhain, Barry, J., Kelly, A., O’Kelly, F., Darker, C., & O’Dowd, T. (2013). Prevalence of alcohol consumption in pregnancy – results from the primary care setting. Irish Journal of Medical Science, published online 10th August 2013. O’Shea, B. Darker, C., & O’Kelly, F. (2013). Chronic disease management in patients attending Irish General Practice Training Practices. Irish Medical Journal, 106 (7), 207-9. Apantaku-Olajide, T., Darker CD., Smyth BP. (2013). Onsent of cocaine use: associated intoxication and psychosocial characteristics among adolescents in substance abuse treatment. J Addict Med, 7(3), May/June. 183-188. Redmond, P., Darker, C., McDonnell, M. & O’Shea, B. (2013). Establishing a general practitioner led minor injury service: mixed methods evaluation at 10 months with an emphasis on use of radiology by GPs in the out-of-hours setting. Irish Journal of Medical Science, 182(2), 213-6. Ducray, K., Darker., C., Smyth, B. (2012). Situational and psycho - social factors associated with relapse following residential detoxification in a population of Irish opioid dependent patients. Irish Journal of Psychological Medicine. 29(2), 72-9. Darker, CD, Sweeney, B, El Hassan H, Kelly A, Smyth, BP., & Barry J. (2012). Cognitive behavioural coping skills therapy in cocaine using methadone maintained patients: a pilot randomised controlled trial. Heroin Addiction & Related Clinical Problems. 14(3), 101-110. Darker, C., Martin, C., O’Dowd, T., O’Kelly, F., O’Kelly, M., & O’Shea, B. (2012). Chronic disease management in Irish General Practice: results from a national survey. Irish Medical Journal, 105(4), 102-5. Darker, C., Sweeney, B., El Hassan, H., Kelly, A., Smyth, B., & Barry, J. (2012). Non attendance at cognitive behavioural coping skills therapy in cocaine using methadone maintained patients: lessons learnt from an abandoned RCT. Irish Journal of Medical Science, 181(4), 483-9. White, A., O’Brien., Houlihan, T., Darker, C., O’Shea., B. (2012). Childhood obesity: Parents fail to recognize. General Practitioners fail to act. Irish Medical Journal, 105 (1), 7-10. Darker CD, Sweeney BP, Barry JM, Farrell MF. (2012). Psychosocial interventions for benzodiazepine harmful use, abuse or dependence (Protocol). 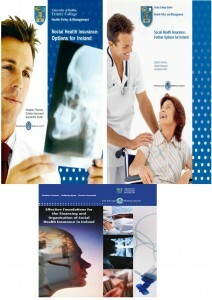 Cochrane Database of Systematic Reviews 2012, Issue 2.